Global 5G connections to reach 340m by 2021 as European optimism increases forecasts. Moves by several mobile operators, especially in Europe, to bring the launch of their 5G networks forward has led analysts to increase their adoption forecasts, with the number of connections expected to reach 340 million by 2021. That figure will increase to 1 billion by 2023 and 2.7 billion by 2025, at which point 5G will account for one in five mobile connections worldwide, says CCS Insight. The first 5G networks will launch in the US later this year, initially offering Fixed Wireless Access (FWA) broadband, with operators in Asia expected to follow suit in 2019 and 2020 following the launch of compatible smartphones next year. There had been concerns that market fragmentation and intense competition would cause Europe to fall behind in the race to 5G, but several operators have made statements of intent in recent weeks. Nordic operator Telia launched a pre-commercial 5G network in the Finnish capital Helsinki last week, while Swisscom, BT, Telecom Italia and Telenor all have advanced plans. This contracts with the more cautious approach from Vodafone, Orange, Deutsche Telekom and Telefonica which have only committed to a 2020 launch date. "The intentions of major US carriers to launch 5G in late 2018 have been clear for a while. But recently we've seen greater urgency to deploy networks from providers in Europe, the Middle East and China," said Kester Mann, an analyst CCS Insight. 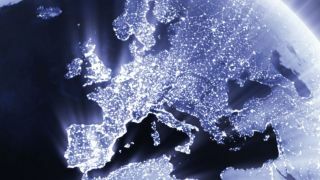 "While Europe may still be around a year adrift of the leading markets in 5G, some regional operators are clearly determined to launch commercial services as soon as next year". Mann says that if BT et al do launch 5G earlier than planned, the pressure on the larger mobile groups to catalyse their plans will be huge. Indeed, it predicts that there will be 20 million 5G connections in Europe by 2020, with 100 million by 2022. Meanwhile, a number of Middle Eastern operators have said they plan to launch 5G imminently – possibly as a result of one-upmanship in the region – while recent events suggest China is preparing for a major acceleration of its rollout. The Chinese government is pondering a merger of state-owned operators China Unicorn and China Telecom, while their larger rival China Mobile is also nearing a launch. There is also the possibility that Huawei and ZTE could increase focus on their home market due to political tensions limiting possibilities in the US and Australia. China is set to be the largest 5G market in 2020 with 40 million connections, reaching one billion by 2025. Several flagship devices will sport 5G connectivity by the end of 2019 as Android smartphone manufacturers seek to reverse flagging sales, although it is expected that Apple will wait a little longer with the iPhone. As many as 60 million smartphones will be sold next year, a figure which will rise to 500 million in 2021.